Paleo Coconut Almond Butter Jelly Energy Bars are one of our favorite bars that fuel us for workouts and snacking on the go. Made with few ingredients; no oils and no sugar added. 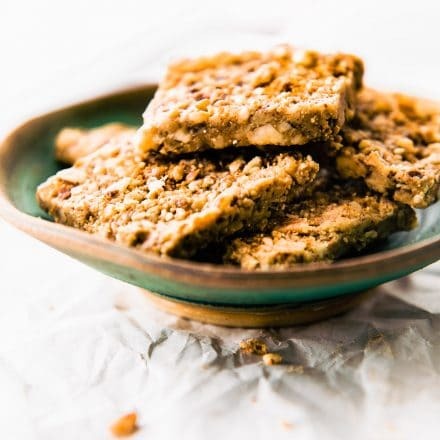 Blended and baked in just 30 minutes, which makes them pretty amazing energy bars! So chewy and flavorful that you’d never know they were healthy. Freezer friendly. 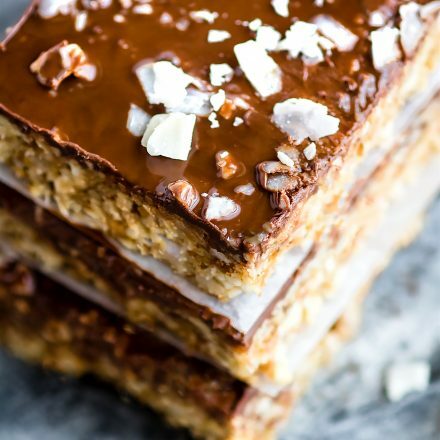 OH my goodness ya’ll, I have so many archived protein and energy bar/bite recipes from I don’t know what to do with them. You see, I’ve been updating old recipes and reposting the new improved versions. That’s what happens when you’ve been blogging for 7+ years. Ugh. SO MUCH CONTENT. Anyway, it gives me a walk down memory lane and chance to appreciate this whole blogging for business process. But also, it makes me miss being the nutritionist “sherpa wife” to my retired professional triathlete husband. It’s all good feelings, just sometimes unreal to think that we aren’t living that dream any more. I mean that in the best possible way. God has his plans. A new dream for us here, now. That being said, I want to appreciate the crazy journey and continue to share these original Cotter recipe favorites. Well, favorites that got a little makeover. Like these Grain Free “balanced” bars. That’s what I used to call these Almond butter energy bars. Nowadays we would call them, um…. ” Coconut Almond Butter Jelly Energy Bars that are Paleo and made with Whole 30 friendly ingredients.” LOL! You know what I mean. Labels. In all seriousness, they are the perfect paleo energy bar to take on the road, for post workout refuel, or training fuel. Heck they are perfect just to eat anytime, anywhere! I know, I am bias. Okay, so do you mind if I nerd out on the nutritional function behind these energy bars? In regards to Sports Nutrition that is. You see, we used to receive a lot of questions about eating Grain free during training or during recovery periods.. 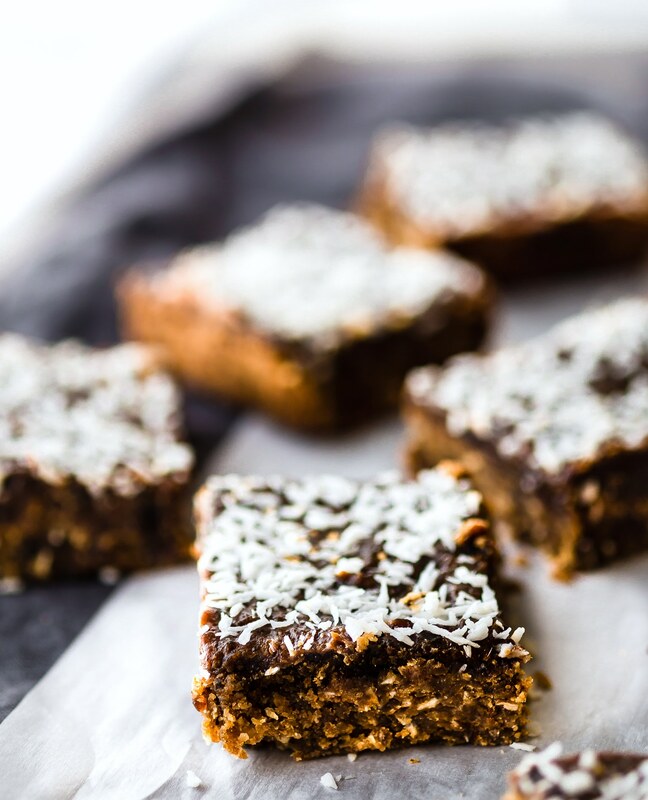 Which is why I made these energy bars grain free/paleo. A recipes and an explanation. Well, the reasoning has to do a lot with my husband previous intense training and stress on the body. We found that grain free or resistant starch recipes were the best for nutrient absorption because it didn’t interfere with digestion. Meaning, nutrients were more easily absorbed. 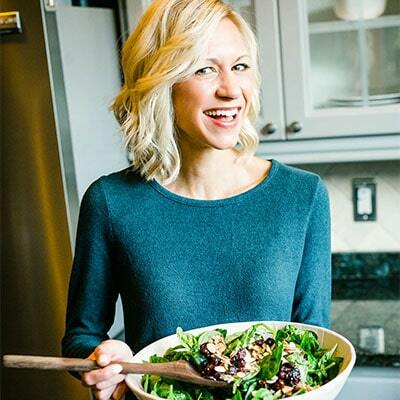 But just because these JAMIN’ energy bars are grain for or paleo, doesn’t mean to skip out on the carbs. In fact, those carbs are crucial too! The “carbs” per se here are the dried plums (prunes) that act as the natural sugar/glycogen. Glycogen is the major source of carbohydrate in the body. Exercise can deplete the glucose in your blood quite quickly. When that happens, your body will pull from the reserved glycogen in muscles. Refueling the Glycogen storages with natural carbohydrates feeds the muscles and helps keep us running. See, you didn’t know prunes to make Jam in these energy bars could be so important! Right? Haha! 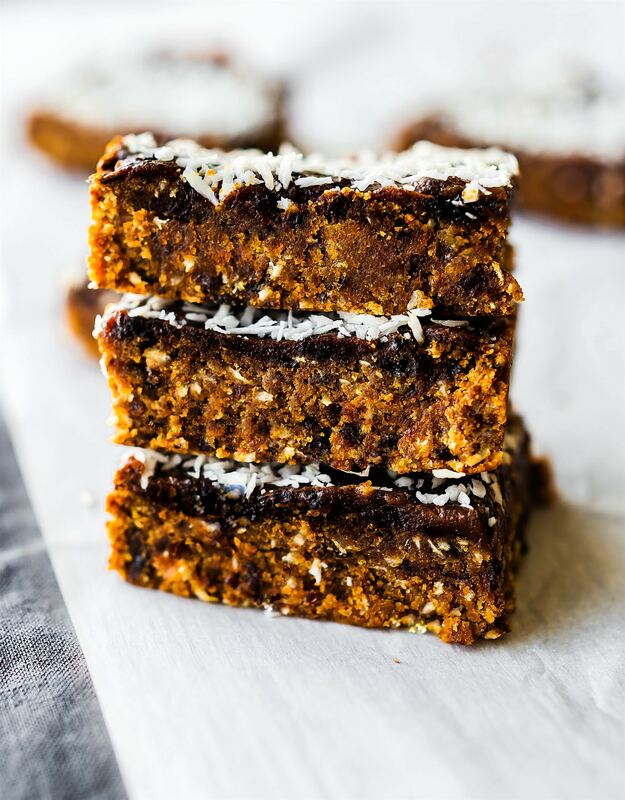 These energy bars are made with a healthy dose of good fats (coconut and almond butter, obviously) that helps sustain energy. Yes, my Nutritionist nerd talk still kicking in! Now, let’s get to the point there and probably what you came here for in the first place. The recipe. 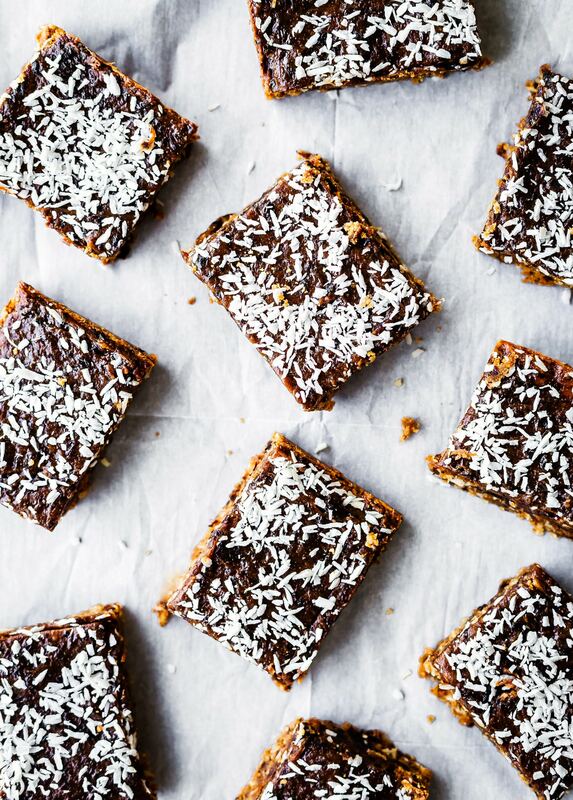 Coconut Almond Butter Jam Energy Bars. Ready in just 30 minutes, made with a few pantry staples, and no oils or sugar added. Gosh I just love how real food works. Chewy like a fig newton. Naturally sweet. Freezer friendly. Ya’ll, these are the whole Shebang! I told you I get carried away with updating and REVAMPING old recipes. They make my heart happy. Please excuse me while my corniness subsides and we get to the energy bars recipe. 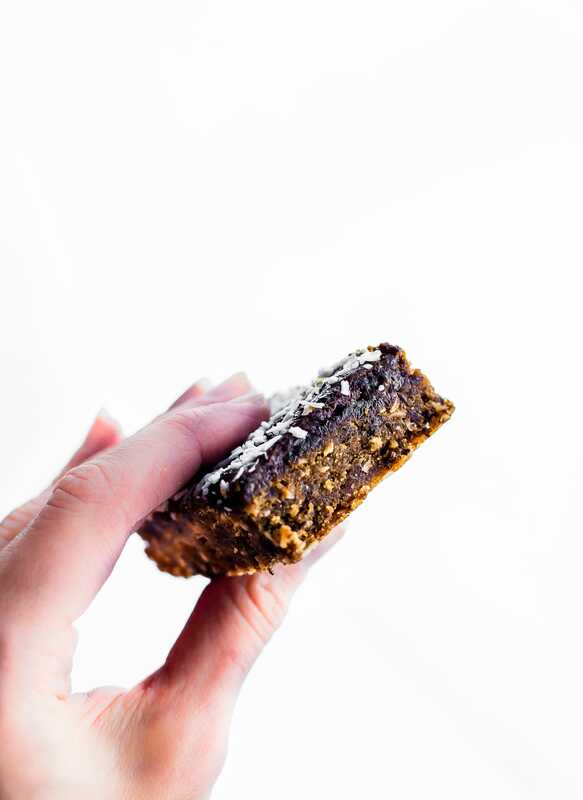 These Paleo Almond Butter Jelly Energy Bars are one of our favorite bars that fuel us for workouts and snacking on the go. Made with few ingredients; no oils and no refined sugar. Preheat oven to 350F. Grease or line an 8×8 pan with parchment paper. Set aside. 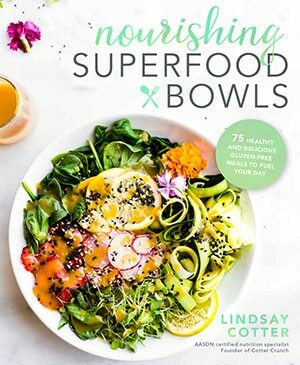 Sift coconut flour and almond meal together in a bowl. Add shredded coconut, baking powder, salt, and cinnamon and mix. Blend dried plums and creamy almond butter. I used a Food Processor for this. After blending, Set aside. Whisk the egg, milk, and vanilla together. Add your blended almond butter and prune mix to dry ingredients. Stir gently. Then fold in the egg/milk/vanilla. Press batter into lined or greased 8×8 pan. Once that’s set, make your topping. Blend together 2-3 tbsp coconut or almond milk, 1 tbsp almond butter, and 1/2 cup or less of prunes and a handful of berries (optional for color). Best in food processor to blend ingredients until jam or jelly paste is formed. Spread this over the batter in your 8×8 pan. Sprinkle shredded coconut on top. Bake 350F for 25 minutes. Remove and check progress of batter. If you want these bars to be more sticky and moist, then bake 26-28 minutes and remove. If you’d like them thicker and chewy, bake for 30 minutes. Remove from fridge and let cool. Then place in fridge. While baking: If the coconut topping starts to brown more than you’d like while baking, simply cover pan with foil. 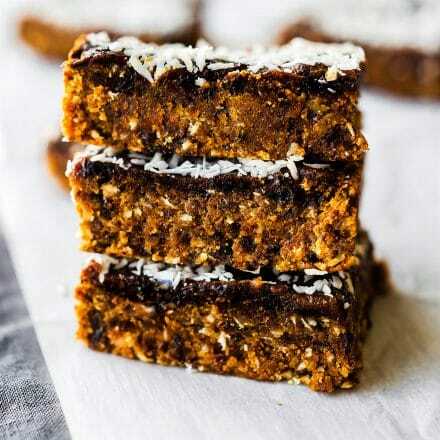 Or rather, grab a bar and let’s all remember our first ever energy bar recipe. Do you have one? Do share! 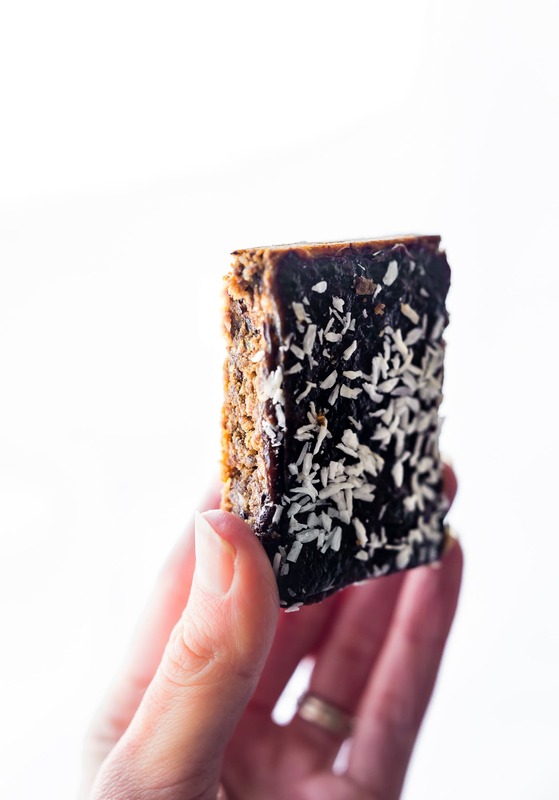 #Paleo Almond Butter Jelly Energy Bars to fuel your day! Chewy, tasty, and no sugar added!. Okay ya’ll, have a Jammmin day! Haha, I’ll stop now. I just made some bar and this weekend myself. So good! I love having them or energy bites around for exactly what you just said about working out. I bet yours are FAB!! you crack me up. You keep doing you, and I will keep coming back, recipes or no. LOVE YOU! Oh i love that! what kind? I’m all for your corniness as you re-create! You rock, my friend. Vegas wants these now. I said “Fig Newton” and was salivating. I’ll deliver to you ANY DAY! oh yes! you’d love these Kristy! Perfect for running the trails or hikes. Perfectly delicious! Sharing everywhere, of course! oh friend! we need to chat. I totally been there. Low Fodmap helps. You doing dairy free yet? ALso, are you on HCL? 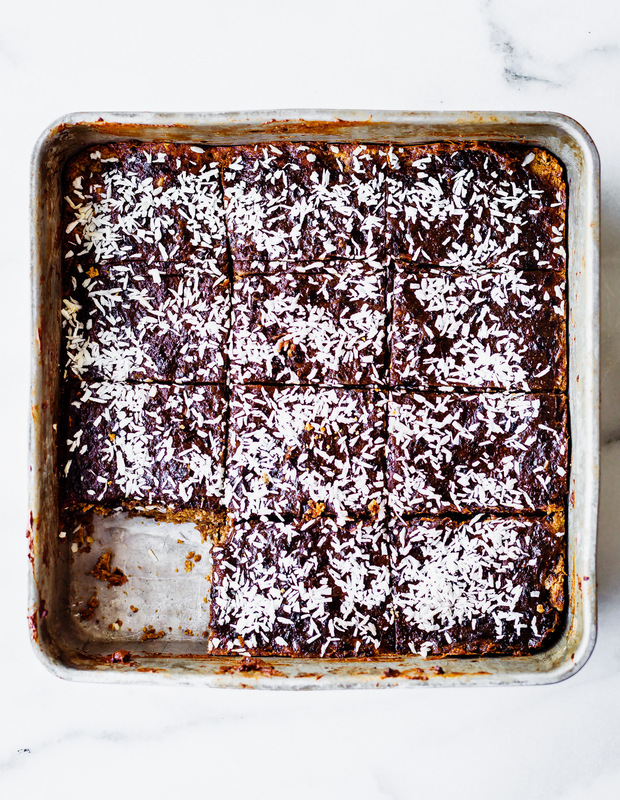 Love this recipe, I was on the lookout for some healthy energy bars as doing lots of running. These will do nicely. Chewy, sweet, fig newton like? I think I’m all over this recipe. I would love to try this; maybe tomorrow. 🙂 30 minutes to prepare sounds delightful. Oh totally does taste like fig newton! Let me know if you try it too! These are THE BEST. I love that they have no sugar, and yet taste so good. Everybody I shared them with loved them. Thank you so much for the recipe! Hi Lindsay! We just wanted to say that we love this recipe so much. Coconut? OMG yes! Are these gluten free by any chance? How long do these save for? Can i freeze them? I kept them in the fridge for a week to 12 days easy! You could freeze them but I would recommend thawing them a bit before eating. I made the no bake version by replacing the egg with chia egg. They were amazing!! Super chewy, not too sweet, perfect for breakfast or a snack! I just doubled the quantities for the topping. Oh wow, that sounds awesome! 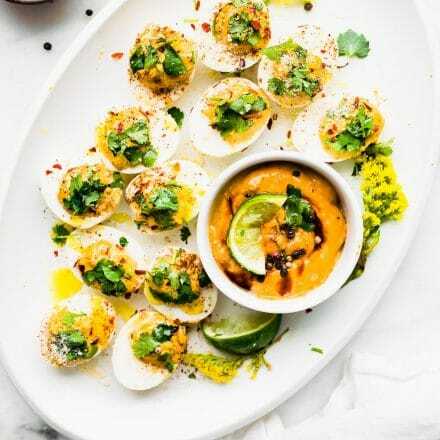 I will for sure try with the chia egg! So glad you commented Laure. And Please feel free to reach out ANYTIME! 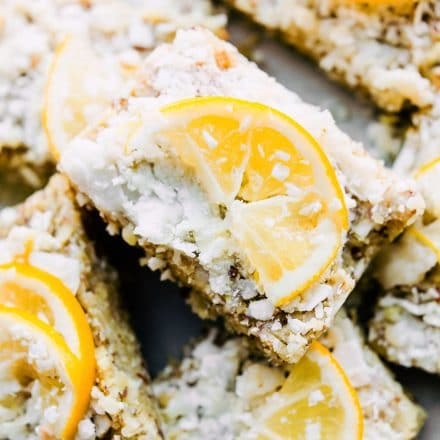 can you sub out the almond flour because of a sensitivity to almonds? Sure! Can you have oat flour or another GF flour besides coconut?